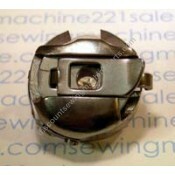 Welcome to our sewing machine bobbin cases page. 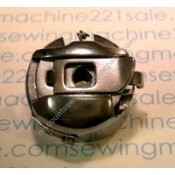 Here you will find a large selection of sewing machine bobbin cases. 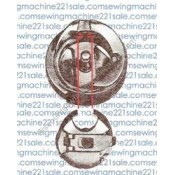 Click on any part to get more information including a complete listing of compatible sewing machines and alternate part numbers for a specific bobbin case. 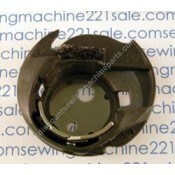 Fits the following Singer sewing machine models221, 301..
Use bobbin 55623ns. 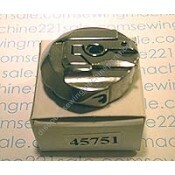 Alternate Part Numbers 149063 wide opening, 2554, 52247, 52473, SO6573, SO65..
Bobbin case ONLY (sewing hook is viewed ONLY for reference). 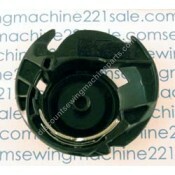 Singer rotary style open front bobbin .. 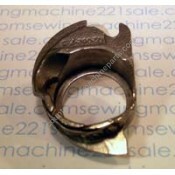 VERY LIMITED SUPPLY. 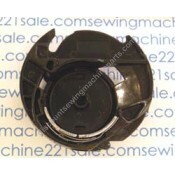 No longer available as new, must be removed from a machine in our inventory.Al..
Alternate Part Numbers153143 (no longer available)Fits the following Singer sewing machine models 10..
Singer rotary style closed front bobbin case for bobbin case holder and sewing hook #173061 (as view..
Alternate Part Numbers179585, 179586)Fits the following Singer sewing machine models 285J, 285K, 2..
Wind-in-place bobbin case. 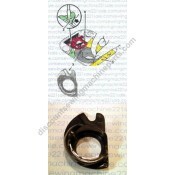 Please NOTE: Over the years the manufacturer has made design changes in .. 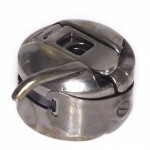 This bobbin case has gone through several design changes all of which are interchangeable. 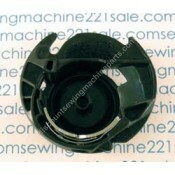 Bobbin ca..
Apollo bobbin case (black plastic) uses bobbin #172222-PS. 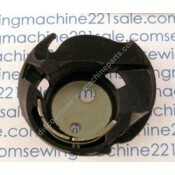 TO REPLACE THE BOBBIN CASE HAVE THE TAKE..
Futura bobbin case for models made from the mid 1970's through the mid 1990's. 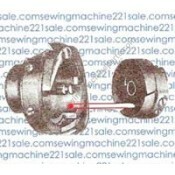 Do not confuse with ..
Order bobbin #81348Fits the following Singer sewing machine models DSXII Quantum, XE Quantum, LE Qu..
What is a rotary? 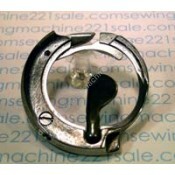 Turn the hand wheel toward you several times, if the sewing hook moves in a contin.. 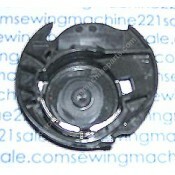 Fits the following Brother sewing machine models XL2121, XL2130, XL2140, XL2150, XL2220, XL2230..
Use bobbin 102261103.Alternate Part NumbersXC8993121, XC8993321Fits the following Brother sewing mac.. 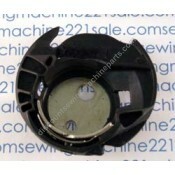 Fits the following Brother sewing machine models LX2500, SB170, SB530T, JX2517 .. 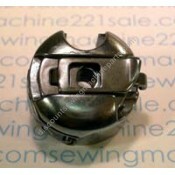 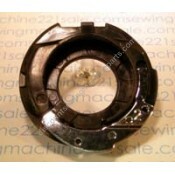 Uses bobbins #136492-001 (XA3812-051)(SA155).Fits the following Babylock sewing machine models ESG3,.. 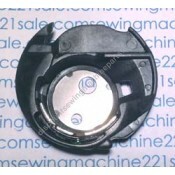 Uses bobbins #136492-001 (XA3812-051)(SA155)Alternate Part NumbersXA3353251Fits the following Babylo..
Use bobbin #102261103Alternate Part Numbers81348, XC3152221, XC3153-051, XC3153-151, XC3153-251, XC3..
Takes bobbins #102261103.Alternate Part NumbersXC3152-021, XC3152-221, XC3152021, XE7560001Fits the ..
Use bobbin #136492-001 (SA-155).Fits the following Brother sewing machine models PE400D, PE300S..
Race (#5 in picture) (bobbin case). 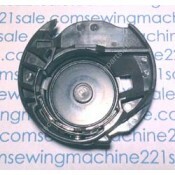 Use bobbin SA156 (XA5539-051)(102261103)Alternate Part NumbersX.. 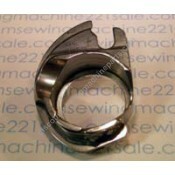 Fits Brother machines listed below and others without pigtail. 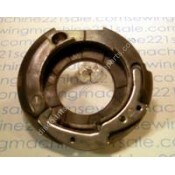 What is a rotary? 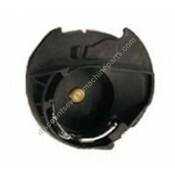 Turn the hand whee.. 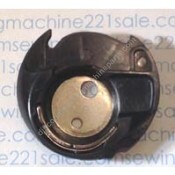 Uses bobbins #136492-001Alternate Part Numbers137827001Fits the following Babylock sewing machine mo..